Warning this may make you extremely hungry! 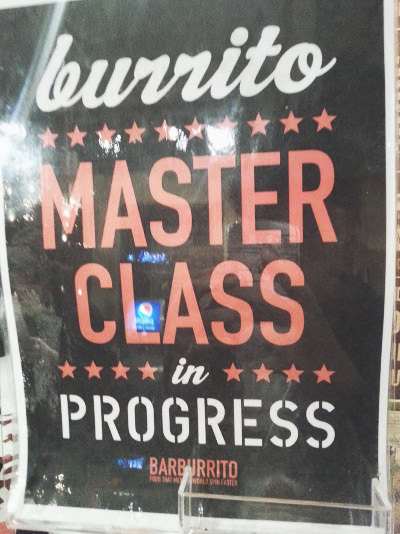 The other week, I attended a Burrito Masterclass with the lovely people at Barburrito at their Boar Lane Restaurant, Leeds. Having only just found out that this exists on Boar Lane, I am now hooked to going as I only ever knew of the one on The Headrow. Anyway, the restaurant is lovely! Lots of little booths and long tables for friends and family to gather round and enjoy the delicious mexican goodies! 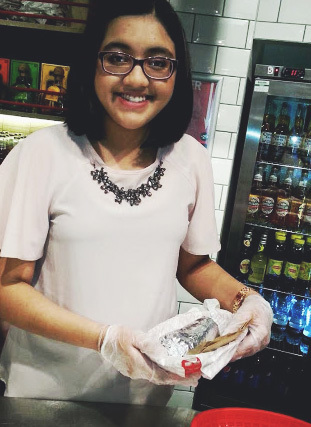 I love Mexican Food and couldn't wait to get stuck in and amp up my knowledge on how to master the perfect burrito. When we (me and my brother) walked in, we were greeted by the lovely Steph from Barburrito Marketing Department and she told us all to get comfy, grab a drink and much on some nachos. Those things are so addictive, you have one and before you know it you have finished the entire bowl - oops. On the table was also a few little cards, with different facts on. Steph told us lots of information about Barburrito as a business, how they started, where you can find them and about the chain in general. Then came the food! 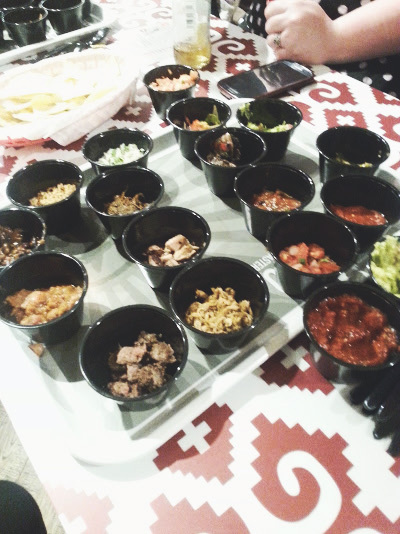 Before we got into anything, we were allowed to try out different bits and pieces to see what fillings we liked in our burrito's and the tray came out with so many little dishes I was feeling very overwhelmed. We are vegetarian, so I have no idea what the meat things were but the veg stuff was DELICIOUS! In the rice you have the choice of brown rice or mint, then mild or spicy beans, mushrooms or peppers and onions, and then a range of salsa's starting from mild to extra spicy - which blows your head off. All of it was amazing and I couldn't get enough. Then after the taste tests, we got taught how to wrap a burrito, the bit I was looking the most forward to because my fillings always and I mean always fall out of the bottom. It was pure genius how to wrap them, you fold both the right and left sides in, then in half from top to bottom, tap the wrap so all the ingredients go to the bottom and then don't fall out and then place it down flat again and fold the corners in to avoid leaks and then wrap!! How amazing is that! After the tasting and learning the masters of making a burrito - it was time to make. 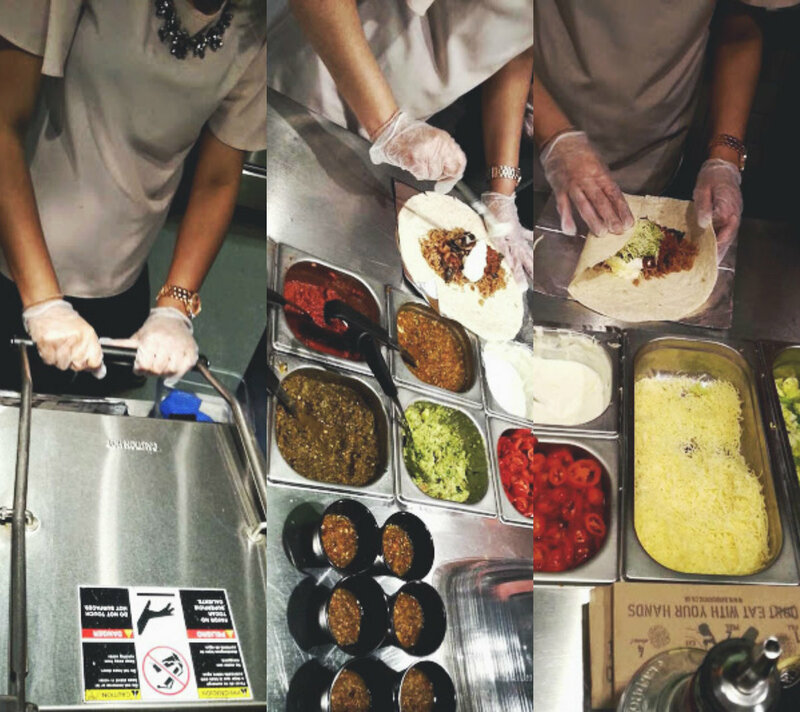 Now I was not prepared for this, but we actually got to go behind the counter and physically make the burrito. It was such an eye-opener to see behind the glass and really get stuck in, also scary because the staff were still serving normal customers and I was very slow compared to them. 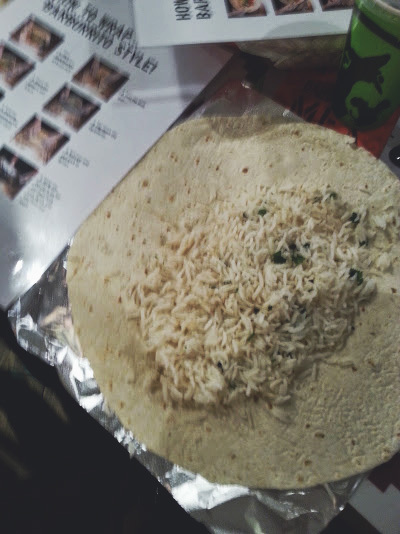 Firstly you put the wrap in the press for three seconds and then lift it and place it on the tinfoil, you then have to work your way down the counter to fill it up with your fillings starting with rice and the beans and fill it up in the middle and spread it out evenly. Then add your vegetables/meat choice and then the salsa, sour cream and guac my favourite part of the wrap because it makes the whole thing come together. And voilà! The finished product, wrapped, filled and in a basket, not going to lie it didn't last very long and pictures didn't happen because I wanted to finish it straight away. 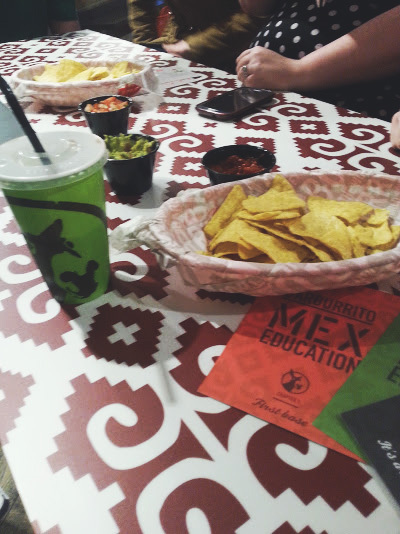 I had an amazing night and am still reminiscing about the food I ate, and highly recommend any lovers of mexican food to pop into their local Barburrito and see what tickles your fancy because it is amazing.